The Stone Sky, N.K. Jemisen (Orbit 978-0-316-22924-1, $16.99, 420pp, tp) August 2017. N.K. 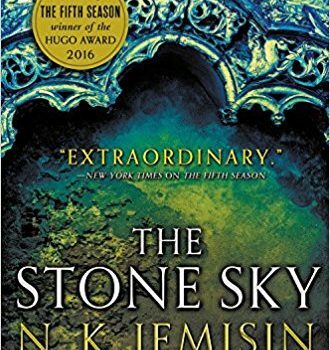 Jemisin ups the ante even more in The Stone Sky, finishing The Broken Earth trilogy with the fate of the planet in just a few hands and time run­ning out. Here millennia of history and lore stand behind gritty dramas of the moment – though perspective shifts feel even more jarring when all foreground action occurs in present-tense and the background mingles science fiction, history, and myth. The Stone Sky returns to a story introduced in The Obelisk Gate, where Essun lost daughter Nassun to estrangement and kidnapping. Jemisin gives them separate plotlines for treks around (and through) the world. 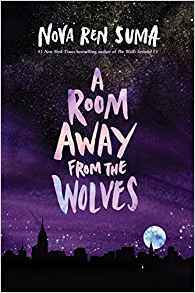 When they finally meet again, at the heart of a desert waste, the balance of power has shifted: mother and child have different ideas of “healing,” and either one could decide whether Earth lives or dies. 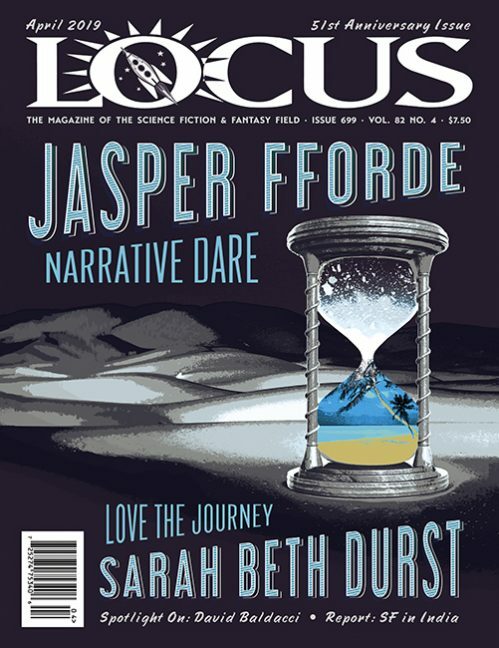 The new prologue points toward a third narra­tive, with verbal legerdemain we’ve seen before. Where The Fifth Season said it starts with “the end of the world,” book three intends to “end with the beginning.” Though this sounds just as tricky, the “Syl Anagist” episodes (set in Earth’s distant past and numbered like a countdown from Five to Zero) show Jemisin at her most direct: resolving crucial mysteries and confronting our worst fear – the doom we bring upon ourselves. 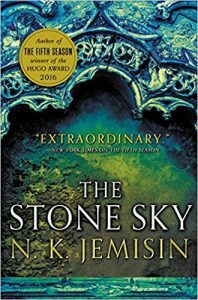 Over the course of the trilogy, that threat looms over everyone across great spans of time, and it’s fascinating to see how The Stone Sky resolves our planet’s fate.